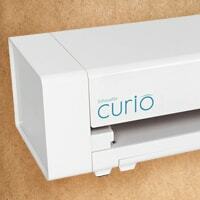 At CraftDirect.com, we have one of the largest selections of Silhouette products that you will find anywhere. We have all the Silhouette accessories you need, from CAMEO blades to sketch pens. The right accessories will make your project go off more seamlessly, and they can also help to ensure more precision in your cutting and application of your awesome paper craft designs. Silhouette blades - discount replacement blades for your machines. 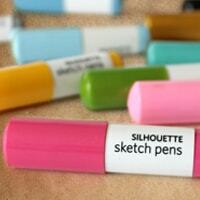 Sketch pens - draw with your favorite machine. It's a great solution for people who aren't very good artists. 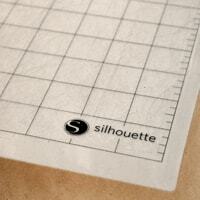 Silhouette mats - cutting mats, PixScan, and more. We have you squared away whether you cut with a CAMEO or a Portrait machine. Your mat should be good for about 1,000 cuts. It's always a good idea to have extra mats on hand. This may be the most popular Silhouette accessory. Silhouette hand tools - tools will help you remove material from your mat and apply it to your project without compromising the edges. Silhouette rhinestones - for fun embellishing projects. Check out the rhinestone starter kit. 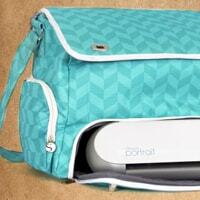 CAMEO bags - In addition to tote bags, here we carry dust covers in a variety of different colors. 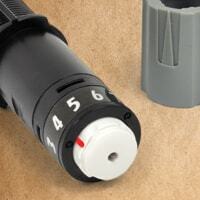 A dust cover will help to keep your machine in tip-top shape. There are so many things you can create with your Silhouette machine and the accessories you can buy make this possible. With the accessories, you can find here you can make designs to transfer onto shirts, you can cut vinyl to decorate around the house, and even make your own homemade stickers. There are so many fun things you can do with your machine when you purchase the Silhouette accessories to go along with it. At CraftDirect, we make it our goal to bring our customer the very best selection of Silhouette accessories on the internet. We love to see the smile on our customers faces when they receive a product that they really enjoy. This is why you will find pages of products to create with silhouette crafts on our website. Check out our site and find the Silhouette accessories you need to make your next project a success.